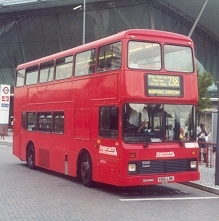 Nine off-the-peg standard Alexander-bodied Scania N112s were bought by London Buses in July 1989 for Potters Bar's tendered 263 service (Archway station - Barnet Hospital). They replaced some of the mixture of secondhand Ailsa and secondhand Metrobuses that had worked the route. They had the rather tall (15ft) RH type bodies with the then-current wide Alexander grilles. Single-doorwayed, they had a H47/33F seating layout. Livery was London Buses standard: red with grey skirt and white band, with London Northern District logos. They remained on the 263 through the October 1994 privatisation to MTL London, but were all transfered to MTL in Liverpool in January 1996. They worked with the Fareway subsidiary in Liverpool until 2000. 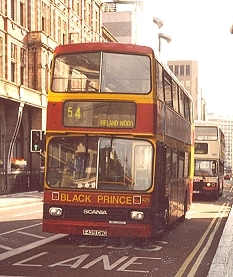 Then they were bought by Black Prince in Morley (Leeds), where they receive individual versions of the company livery (mostly yellow, plum and red) or advertising liveries. 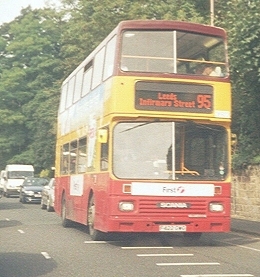 First Leeds took over the Black Prince routes and buses in July 2005, moving the buses to Kirkstall initially, and later Bramley. 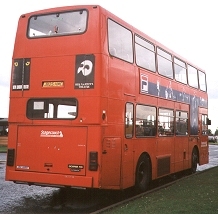 They received First Barbie colours and although initially retained on their traditional routes were soon relegated to schools contract work, most being retired in early 2007. 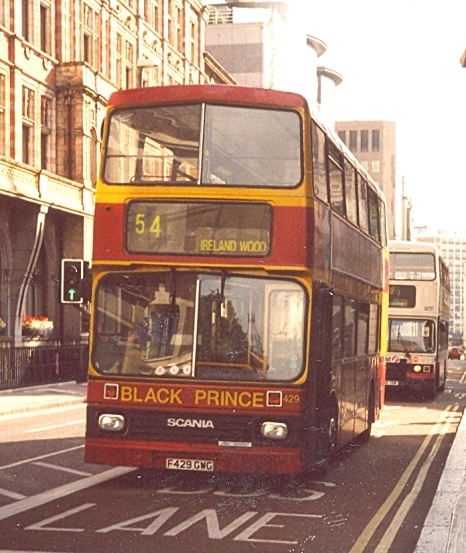 S9 with Black Prince in Leeds, September 2003; S2, now First Leeds 36929, ex Black Prince, October 2005. There was something of a crisis in Docklands in the autumn of 1991: the Docklands Light Railway was not coping well, and London Regional Transport acted to provide supplementary services. 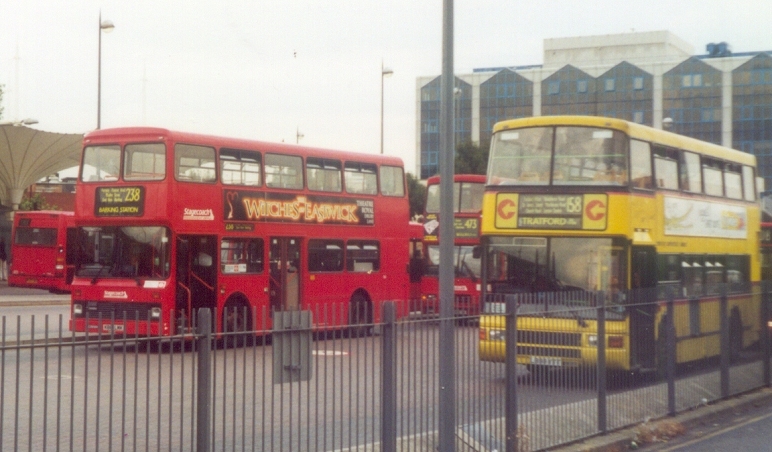 They bought twenty Alexander-bodied buses from dealer stock to help out in Docklands. Some were delivered in London Buses standard red with grey skirt and white tape, some had a gold cantrail band and gold East London lettering. 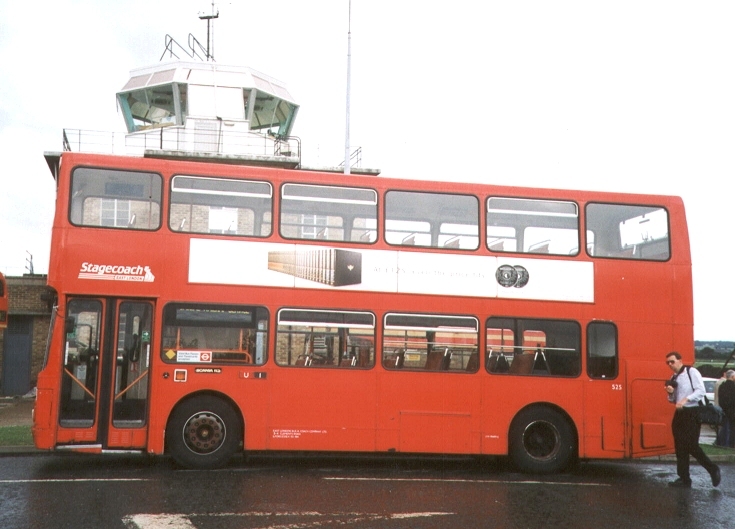 Some then received broad white wrap-round adverts for Docklands Express route D1. 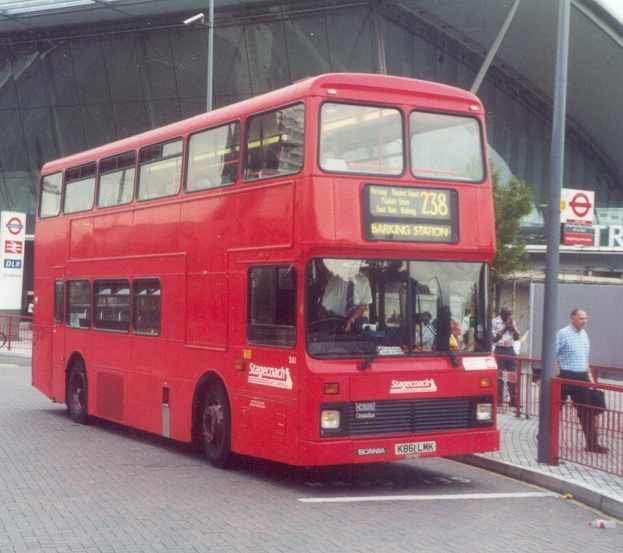 By the end of 1991 S10-S14 wore LBL livery, 12 and 13 with gold band and lettering, while S15-29 wore white bands with route details for the Docklands Express D1 (Waterloo - Isle of Dogs)and new D11(London Bridge - Canary Wharf). 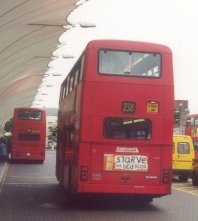 In July 1992 nine of the Scanias (S11 and S13-20) were re-allocated to Holloway for use on the Red Express X43 route, which was a Monday to Friday route from North Finchley to the City and London Bridge, utilising the new no-stopping Red Route from Highgate to Old Street. 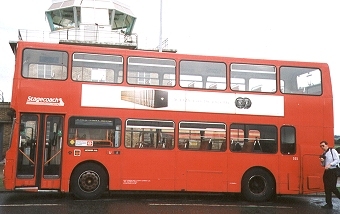 They received a new livery from "Best Impressions", probably the best livery applied by London Buses, and one that would be closely copied later by London United. 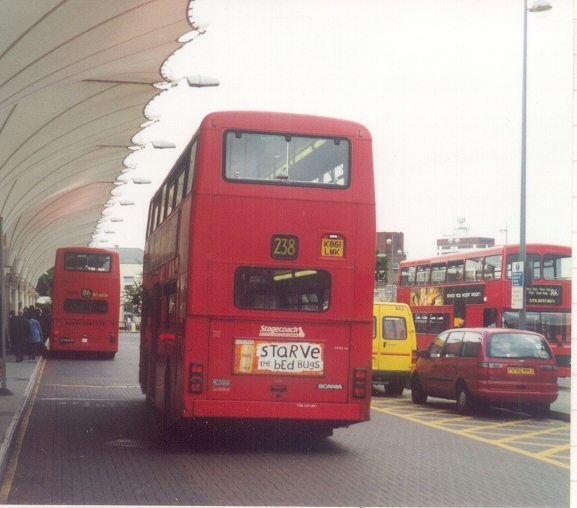 S10-S21 gravitated towards Potters Bar, where they were privatised to MTL London. 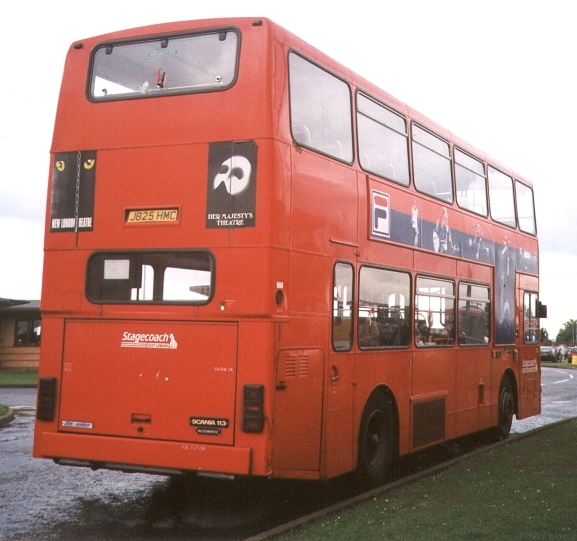 S10 and S21 were fairly promptly despatched to MTL in Liverpool (along with the earlier Scanias), but the others remained at Potters Bar until sold off in late spring 2003. 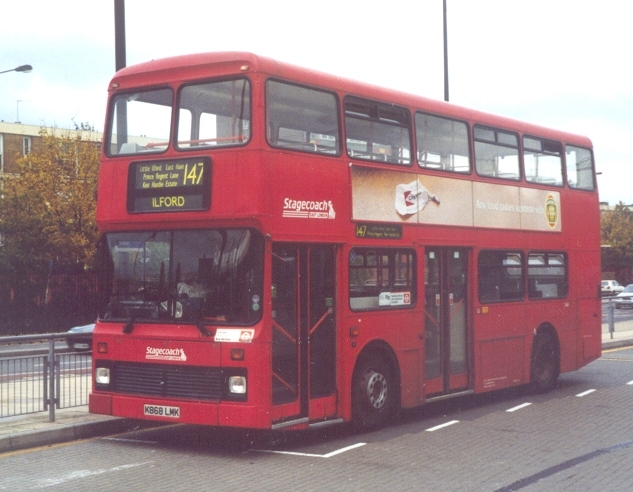 S22-S29 were transferred to Upton Park when West Ham closed in late 1992, and were duly privatised to Stagecoach East London in 1994. They went west (literally) in 2000, when Stagecoach moved them to Devon for use in the Torbay area. 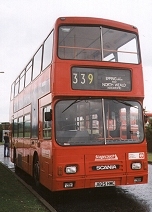 S25 at North Weald Rally, June 1998, working the 339 special service. 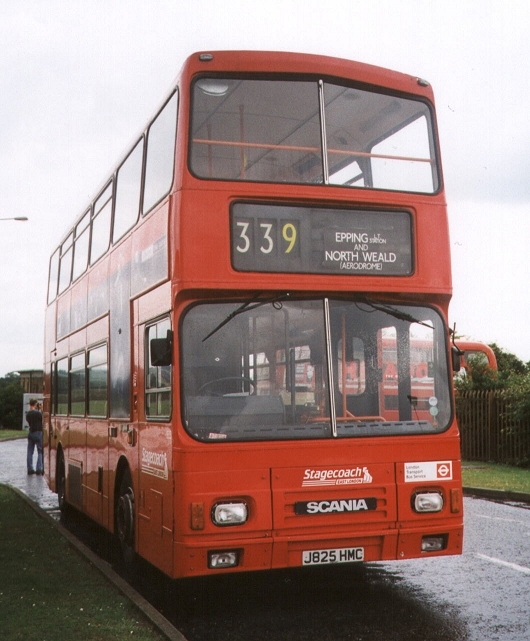 A pair of single-doorway Scanias with Northern Counties bodies was bought for Potters Bar at the end of 1991, and went into service on the 263. They did not stay there for long. 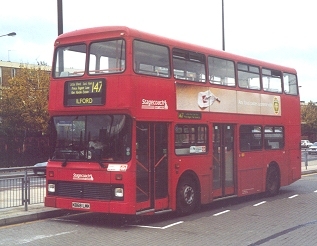 In April 1992 they were swapped for a pair of Alexanders: they were sent to Leyton for repaint into Docklands Express livery, S31 acquiring a London Buses standard front destination box at the same time. They were sent on to West Ham in May, to work on the X15. They moved on to Upton Park when West Ham closed in October 1992, and worked from there, or with the private hire squad at Romford North Street until January 2000, when they were transferred to East Kent in Thanet. 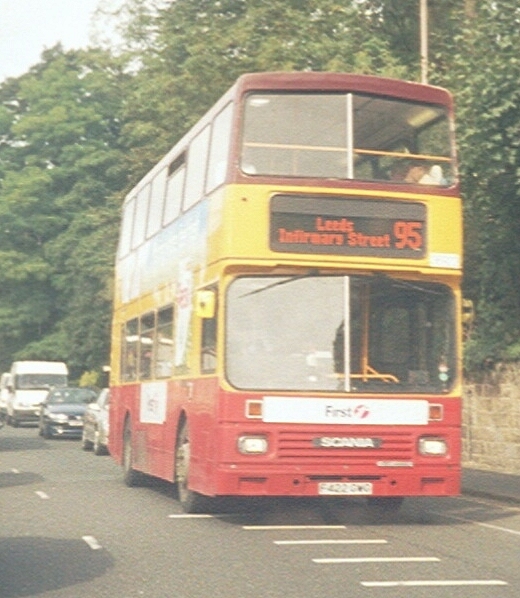 Dual-doorway Northern Counties-bodied Scanias were delivered in the summer of 1992. S32-S40 arrived in red with a broad between-decks white band, ready for in-house application of vinyls for the Docklands Express services D11 and X15. They went to Upton Park. 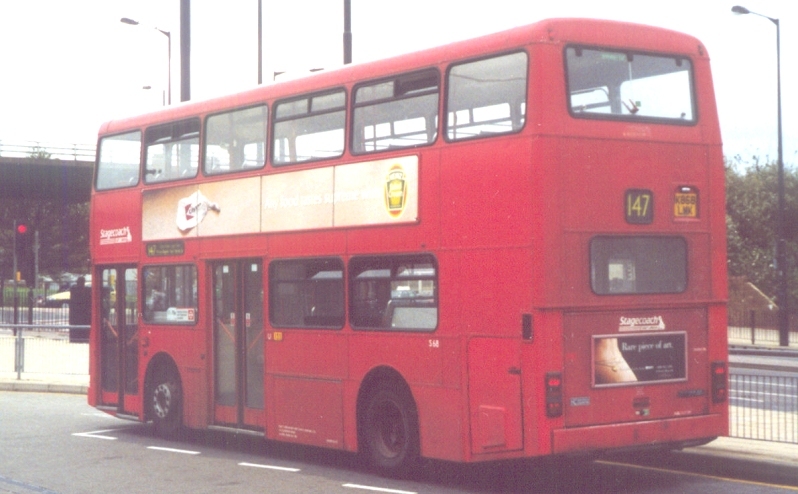 S41-S71 arrived in London Buses standard red livery, arriving to Upton Park and then to Bow for the 15B and 25. 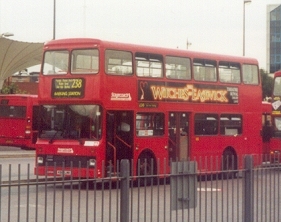 The whole batch were privatised to Stagecoach East London in September 1994, and congregated at Upton Park in November 1994. They moved out to Stagecoach East Kent during 2000. I remember travelling on one between Rye and Hythe, still full of East London adverts and notices inside, although with Stagecoach white and stripes on the outside.